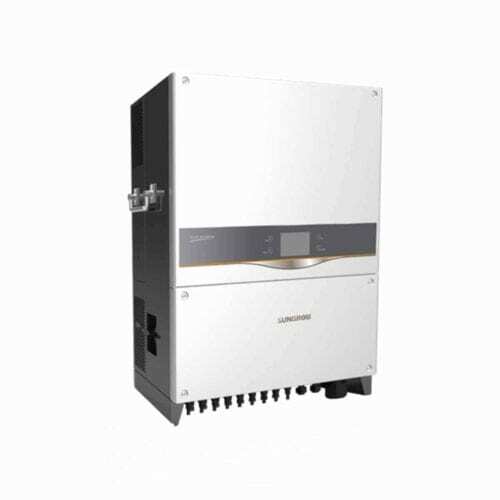 The SUNGROW SG80KTL 80kW Solar PV Inverter is part of the SunAccess PV inverters of Sungrow. With the maximum efficiency of over 99%, SunAccess fully meets all types of PV modules and grid connection requirements. The product has been installed for over 68 GW installed worldwide as of June 2018 more than 60 countries. Sungrow Power Supply Co., Ltd. is a China-based company principally engaged in the research, development and manufacture of photovoltaic solar inverters, as well as power station system integration businesses. The main products of the Company include photovoltaic inverters, wind energy converters, energy storage systems and motor controllers for electric vehicles, among others. The Company operates businesses in both domestic market and overseas market.. Join our ZERO Home Bills Community. The best solar inverters from the BEST Solar Energy component manufacturers at the BEST Prices on ZEROhomebills.com by Solaranna. Are you looking for solar pv panels? You can check our solar panels here.